Bitext is the 6th company with more reviews and the 7th more liked amongst the users. Which clearly supports the high quality services Bitext provides to IT decision makers. Over 67 of Bitext’s services have been ranked 10th on the editorial list over companies like Medallia, Basis Technology or Semantria. 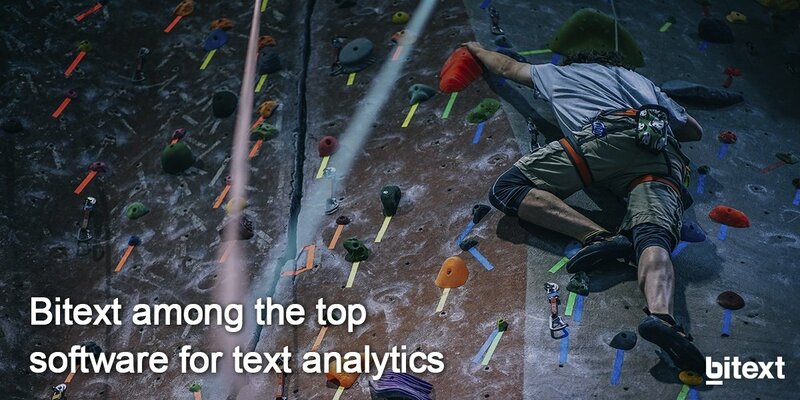 Ever since they published their list “Top 67 software for text analysis, text mining, text analytics” in 2014, it has become a reference for users and companies. One of the key differential points between Predictive Analytics Today list, and other comparisons is that PAT does not only include its rating but also the users’ vote.